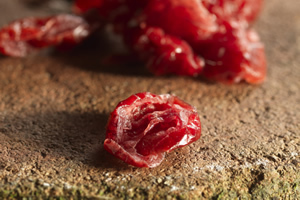 Prices for Sweetened Dried Cranberries (SDCs) have continued to rise slowly in recent weeks. After a long period of oversupply and low prices, a smaller than expected crop in the U.S. and Canada and ongoing legislation to limit supply continues to lift prices from their recent lows. There is also an availability issues on Whole SDCs, with some packers reporting first available material as late as July already. We expect a steady firming in prices for Whole SDC especially. Lead-times for most suppliers are 8 weeks or more for conventional Sliced SDC.